Galaxy Scientific Inc. announces their latest product in their line of portable spectroscopy systems. 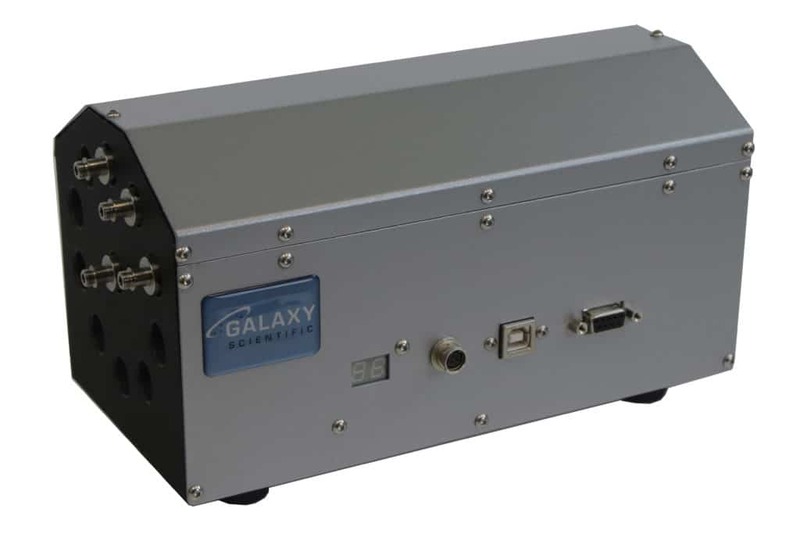 Galaxy Scientific’s Fiber Optic Multiplexer allows a single spectrometer to automatically switch between up to ten different sampling devices enabling near-infrared measurements from multiple sampling points or multiple product streams. The Multiplexer switches the input and output fibers from the spectrometer using a rotary steering mechanism. It is designed to accept standard SMA905 low-OH optical fiber inputs and is designed to switch 600um solid core fiber. Smaller core fiber or larger core fiber bundles are also compatible. The multiplexer is factory configurable at the time of order to have any number of channels between 2 and 10 and more channels can be added after purchase. The compact and rugged design allows the unit to be placed close to the sample points and distant from the spectrometer, reducing the cost of long fiber optic runs while still protecting the sensitive instrumentation. Galaxy Scientific’s Multiplexer can be coupled with either the QuasIR 2000 fiber optic or QuasIR 2000E emission FT-NIR systems to provide a cost-effective solution to measurement needs at multiple sample points. The multiplexer is also compatible with other major NIR spectrometers.